If you have a child whose first permanent molars are now in place, it is important to keep these teeth free of decay. 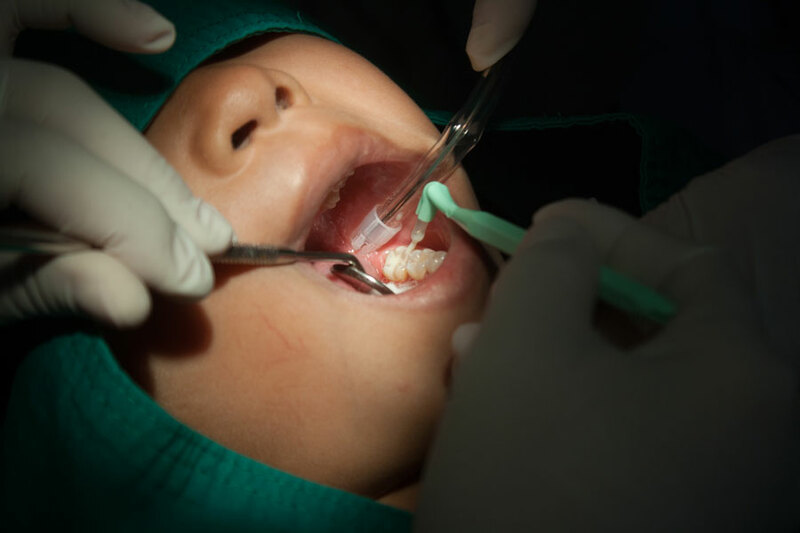 Permanent molars help determine the position of the child’s other permanent teeth as they replace his primary teeth. One method your dentist may recommend to protect his first permanent molars from decay is the use of an adhesive sealant. This is a painless procedure that requires no drilling. After the molars have been cleaned, they are etched with a mild acid to remove bacterial plaque and other surface material. This treatment also makes the tooth enamel more porous so the adhesive bond or sealant will be as strong as possible. The sealant acts as a barrier against the accumulation of bacteria that causes decay on the chewing surfaces of the teeth. Adhesive sealants provide a long-lasting protective film. When the sealant becomes worn, additional applications can be made as needed to protect the tooth from decay.